TPLF opposes the move to unite parties in the ruling coalition and postponement of national election as well. 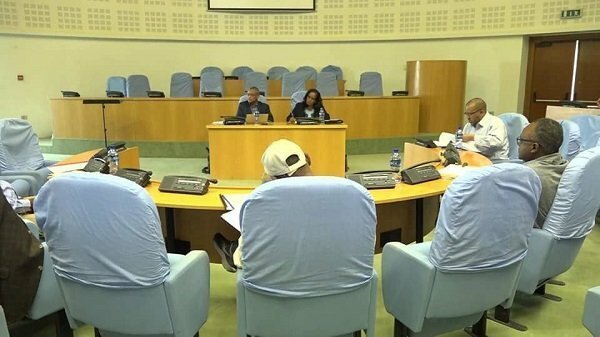 Tigray People’s Liberation Front has issued a statement to share decisions from its latest Central Committee Meeting in Mekelle, which took place between April 8 and April 12. In the communiqué, shared what the committee discussed regarding the situation in Tigray and also the overall political situation in the country. Evaluating the plans to deepen “tehadiso” (renewing the party – and its practices) in light of decisions made earlier to achieve the party’s mission which it says is “development and good governance” was the key issue in the meeting, according to the statement from the party. The ethnic Tigray Party, which dominated Ethiopian politics for nearly three decades, said that it carried out a “scientific struggle”, apparently after the reform measures in the country, against provocations and plots that targeted to get Tigray and TPLF kneel down, and organized what it called “our people” to not make “dreams of our enemies” not come true. It went on to say that the party has been working on to resolve “development demands” in different parts of the region it governs. It made a blatant accusation against unspecified groups in Tigray for “misinterpreting demand for development” and attempting to cause disunity in Tigray. The central committee used “collaborators from North and South” phrase to describe them and accused them of working to achieve disunity among Tigreans, and called on people in the region to prioritize “security and the existential question” and struggle against those forces working “to bring about disunity in Tigray.” The statement also described them, and they are ethnic Tigreans with dissenting views, as “evil forces” who are trying to commodify politics as a means to pursue personal gains. Regarding the situation in the country, the party remarked that the ruling coalition’s movement for “tehadiso” has failed. Lack of peace and stability and problem to reinforce the rule of law are the key issues that TPLF identified as major problems as far the situation in the country is concerned. It also says that “forces that are against the constitution and the federal system” have become dominant in the country, and that principle of “Democratic Unity” and the Federal System are in danger. While TPLF blamed the ruling coalition’s leadership for all the political and security problems in the country, it says that the causes for all these problems linked to that the leadership has moved away from the ideology that the party used to follow, and the organization seem to demand the leadership to be held accountable for lack of discipline and sense of responsibility for not implementing the ruling party’s decisions from 2018 to bring about an in-depth party renewal. For TPLF, the solution to resolve the country’s problem is to restore that it called EPRDF values. TPLF also opposed the move to unite the ruling coalition on the alleged ground that there is not uniformity of political ideology and purpose among the coalition members. Last but not least, TPLF opposed postponement of national election on saying that the move violates the constitution. Currently, the central committee of the ruling is having its meeting. 3 Responses to "TPLF accuses “collaborators” in Tigray, EPRDF leadership"